Do you love scouting about in the woods? Adventuring yourself in the great outdoors is great indeed, just make sure to stay safe along the way! We decided to help you out with this by collecting the best safety tips, checklists, weather preparedness guides and videos to help you with packing and orienting yourself in the forest. These will surely help you make the best of your outdoor adventure - scout’s honour! 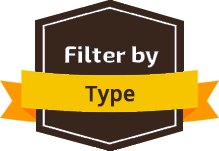 Using the filters, you can simply choose the type of resource you are interested in, and depending on your choice, a range of useful articles, general tips and guides will come up.